This Amulet is able to not only cleanse and purge items of energy and psychic and magical influense, but is also able to charge items with energy of your choice. There are three commands, one for cleansing the wearers energy, one for cleansing an item, and one for charging an item. 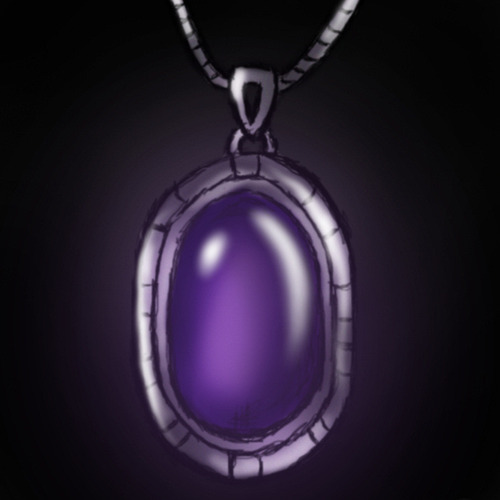 Be careful, this Amulet can disrupt bindings of spirits if you cleanse an item with something bound to it, and should only be used to purge and cleanse items that you want to have completely clean of any magical influense such as bound spirits, spells, and so on.